Home > French Blog > French Culture > What Should You do if You Are Sick in France ? It’s never fun to become ill when you are traveling, but should you become sick in France, here are a couple of tips about French doctors, medicine, hospitals and pharmacies that should help you out. If you were to become sick in France, here are some useful information to know. Going to the doctor is relatively cheap in France: you can see any general doctor for a cost of about 22 Euros. You may get reimbursed by your health insurance if they cover international travels. Pharmacists are highly trained medical specialists (+6 years of higher medical studies) who are entitled to give medical advice. Do not hesitate to ask them for their help before you go see a doctor. 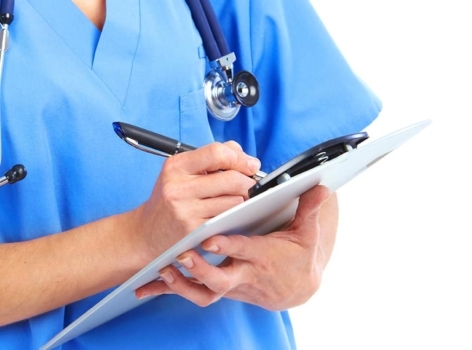 Most French doctors will offer extended hours, and will make house calls for an extra fee. SOS Medecin will send a doctor to your house in less that one hour (Paris – tel: 01 47 07 77 77 around 70 Euros). 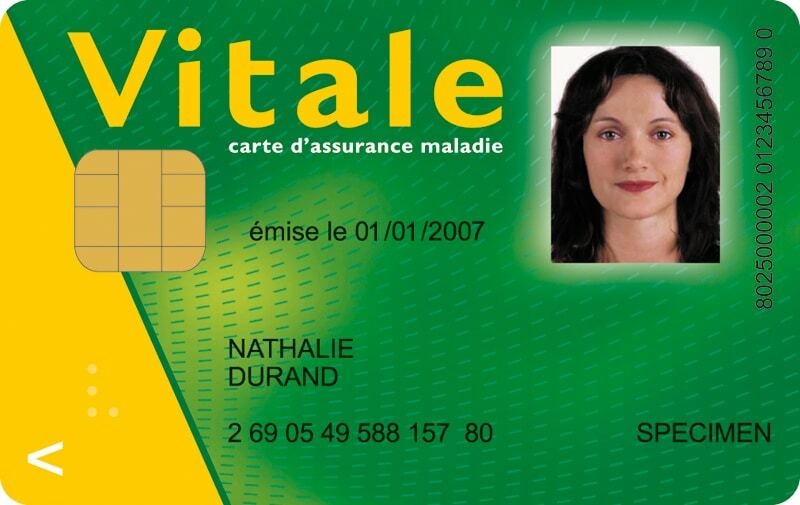 “La Carte Vitale” is the French national health insurance card. If you have one, you will probably only be charged for a small co-pay, or nothing if the service/medicine is fully covered and you have a prescription. However, if you don’t have one, it doesn’t mean you won’t get treatment in France! It only means that you may have to pay for it. As I said above, going to a general doctor is only going to cost you about 22 Euros. This is less expensive than what my co-pay was in the US with a good insurance. A lot of people speak some English in France, particularly in the big cities, but it is a good idea to familiarize yourself a bit with my free and all recorded French medical exam, especially if you have health issues. I wrote that physical with the help of 2 doctors, and it comes with free audio (both downloadable or online playing) so you can train on your pronunciation and understanding. You can walk in any French hospital in case of emergency, they will treat you first, then talk about money. Should you need an ambulance or the fire brigade, call the 112 (land lines and cell phones) and they’ll dispatch your call appropriately – this number is toll free and will even work from a locked cell phone or sometimes even when there is no ‘apparent’ signal. The 112 emergency number words throughout Europe. 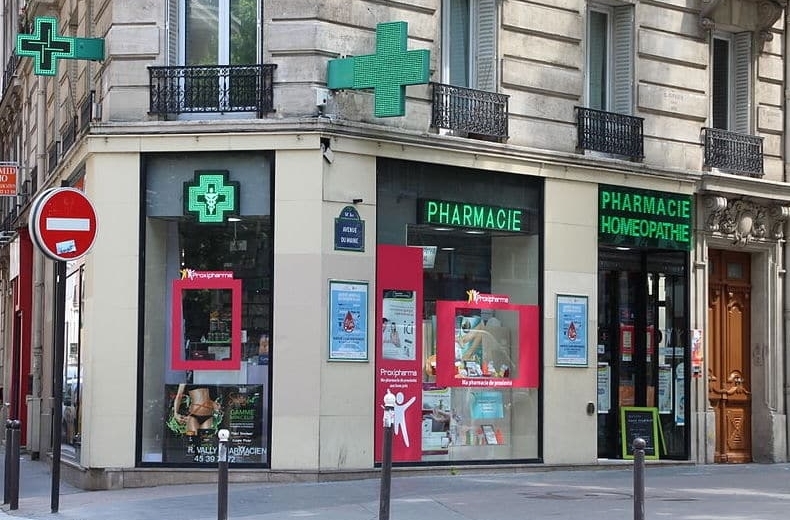 6 – How to Find an Open Pharmacy in France on Sundays? A lot of over the counter medications are available by prescription “une ordonnance” only in France. And brand names are often different. Doctors have a big book with the main ingredients of a drug and it’s French name, so always bring your prescriptions with you. Pharmacies are typically open from 9:30 AM to 7:00 PM, Monday to Saturday, and close during lunch time (12PM-2PM). However, every day there is “une pharmacie de garde”, to be used only for emergencies, when treatment should not be delayed, and open all day and all night. In the countryside, they take turn, so the list is usually displayed on the window of any pharmacy, or available at the hospital, a doctor’s office, the fire station of police station. There is usually a beeper by the side of the pharmacy, call and the pharmacist will come down. Voilà, I sincerely hope you won’t need to use the info in this article during one of your trips to France, but if you do get sick in France, you’ll know what to do! 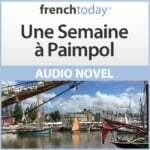 “Antoine est malade” – if you enjoy learning French in context, check out French Today’s downloadable French audiobooks: French Today’s bilingual novels are recorded at different speeds and enunciation, and focus on today’s modern glided pronunciation. “Complete French Medical Exam” – I put a lot of work to create this French medical exam – help me spread the word so it can help other people : for example, share it on Facebook.